We just got back from a wonderful trip to Maui and Oahu. If you’ve never dove in the Hawaiian Islands it well worth the trip. One of the advantages of Hawaii is that it’s quick 5 hour flight from Seattle and there are no customs hassles once you get there. The diving in Maui is some of the best on the islands. I chose to dive with the crew from Lahaina Divers out of Ka’anapali. The guys were knowledgeable and competent; plus they gave me as much latitude with my dive profiles as possible. 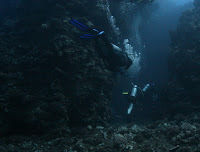 We made several dives out off the island of La’nai to the Cathedrals I and II. The Cathedrals are left-over mega lava bubbles that filled with water and make spectacular cavern dives. Wildlife included shark, dolphin, and bunches of cool little critters. The visibility was a good 100’ and toasty warm; but you probably already guessed that. We also trekked out to the Island of Molokin i. The island is a sunken crater which makes for fabulous dive and snorkel site. Dives inside the crater are ok; you see bunches of butterfly and trigger fish. However my wife Windy saw as much snorkeling as we did on our dives; octopus, moray and other neat fish. We ventured to the back wall the following day and were pleased to find white-tip reef shark, Galapagos shark and even a frog fish in over 200’ of underwater cliffs. Often overlooked is the diving within Oahu. The island usually makes people think of Wakiki and surfing; but he diving on Oahu is good as well. It’s one of the few islands with diveable wrecks. 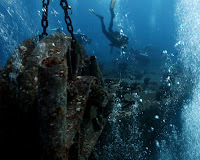 With Ocean Concepts we dove the Mahi wreck; one of the best wreck dives on the island. The wreck sits in about 95 feet of water with much of the superstructure intact. It’s a former 176’ minesweeper/cable layer that was sunk in 1986 to become as an artificial reef. It has become one of the most popular wrecks in Hawaii but because the tower collapsed in one of the hurricanes divers are advised to remain on the outside of the wreck. The second wreck I visited I chose to dive with Island Divers on what they call the LCU; an upside-down landing craft (as in beach landings) lies in 95'/29m of water on a sandy bottom with spotty reefs surrounding it. Not the most exciting wreck since it lies keel up; but it offers a nice swim-through underneath the wreck and is often home to shark. There is also a tighter swim-through through the pilot house, but no penetrations without being hazardous. One final wreck we visited on the trip was the Sea Tiger, definitely one of my favorite wrecks on Oahu. It’s large for the island; there are several swim-throughs and penetration possibilities. We spotted eagle rays circling the wreck, and several leaf scorpion fish. Sunk in 1996 by a submarine company the Sea Tiger doesn't have a whole lot of coral growth but even so schooling fish, moray eels, and nudibranch are very common. I went with Aaron’s dive shop for this dive, and we chartered the “Moe Mac” for the trip. The Sea Tiger rests upright on a sandy bottom at 130'/40m, but dive depth is generally between 80-1 00'. Apart from missing wood planks and some decay inside the wreck the Sea Tiger is very much intact and impressive site. All three shops did a good job. Ocean Concepts had the best dive boat, but were fairly restrictive in their dive policies. Island Divers had the best attitude with experienced divers, and Aaron’s had the best atmosphere of a dive shop community if you get to the North Shore. I would recommend any of the three; but a lot depends on the DM and captain. love the stories and photos. looks like a fun trip. i will have to take your photo class sometime to learn the tricks to getting the best pictures. already not happy with the backscatter from internal flash. 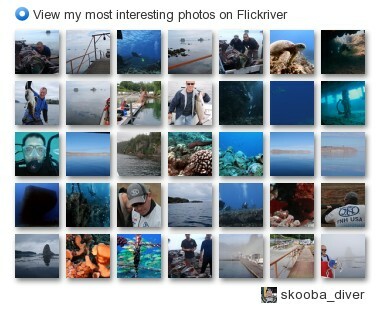 only done one set of photos so far though underwater. any idea when you will be doing a rescue diver class?